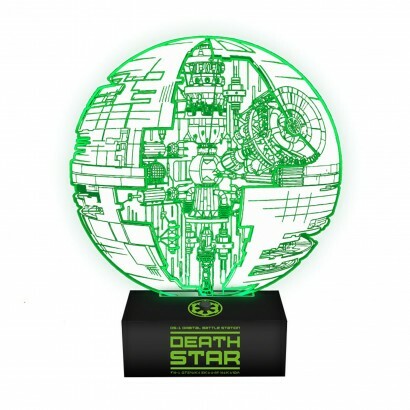 See the inner workings of Darth Vader's Death Star with this detailed lamp illuminating the heart of the ultimate planet destroyer. 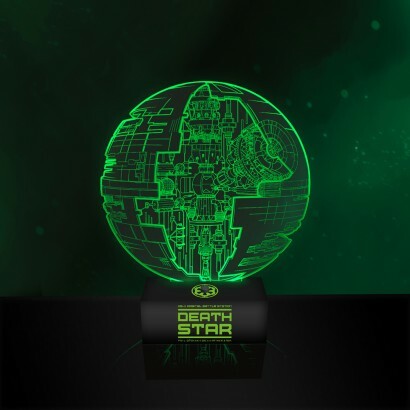 A green LED shines through the acrylic lamp to give a unique 3D effect showing the inner workings of the Death Star in haunting light. Ideal for the rooms of Star Wars fans no matter their age, this striking lamp shows the Death Star as it appears in the latest story Star Wars Rogue One and makes a striking mood light or night light.